The brakes on your care are one of the essential components. Without properly working brakes, then it’s difficult to stop while you’re driving. Fortunately, there are some signs that you can pay attention to if you suspect that your brakes need to be repaired. 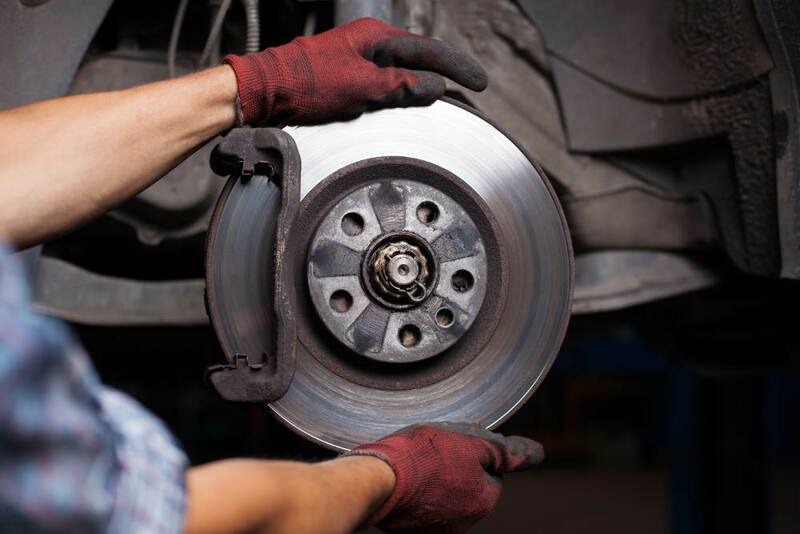 Road Runner Auto Care in Apple Valley can assist with the needs that you have, examining the brake pads and rotors so that you’re safe on the road. One of the first things that you’ll usually notice from your brakes if there is an issue is a noise. This could be anything from grinding to screeching. Mechanics at Road Runner Auto Care in Apple Valley can listen to your brakes to determine where the sound is coming from and what needs to be done about the brakes to repair them. Keep in mind that brake pads usually begin to squeal when they are wearing thin before grinding when there isn’t any pad left. When your car pulls to one side when you brake, then it could be a sign that your rotors are warped. A mechanic at Road Runner Auto Care can look to see if the rotors can be turned or if they need to be replaced. Sometimes, replacing the rotors is the best option because you don’t know how worn the rotors actually are. When you depress the brake pedal, it shouldn’t reach the floor. This could mean one of many things, such as low or no brake fluid or no brake pads left on the rotor. A similar sign is when your brake pads are hard. This means that you have to use force when trying to depress the brakes. Another sign that something might be wrong with your brakes is if they grab when you touch the pedal. You want the car to stop, but you don’t want it to come to a jerking stop which could indicate that there is an issue with the pads or the clips.